The National Basketball Association (NBA) announced on April 19th 2016 that the league has opened an office in Manila, Philippines, as part of its commitment to grow basketball and the NBA’s business initiatives in the country. 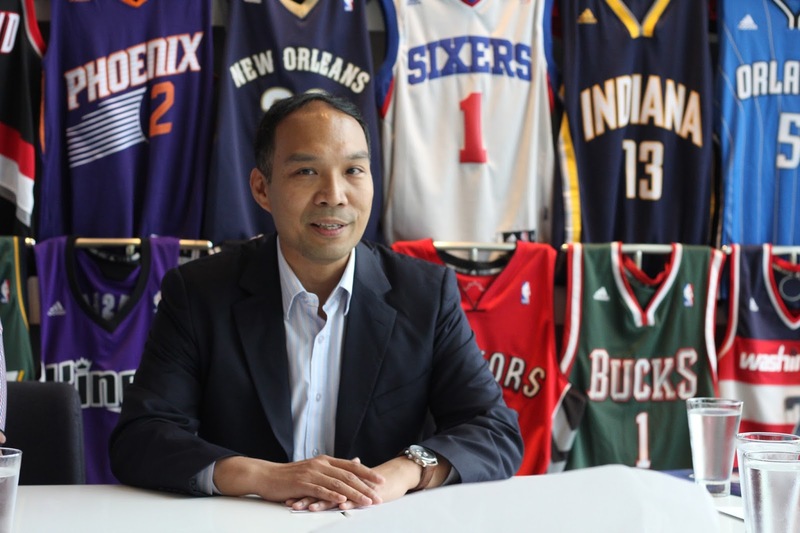 NBA Philippines Managing Director Carlo Singson will lead a dedicated local staff to assist NBA headquarters in continuing the growth of all of the NBA’s business lines in the country, including television, digital, merchandising, events and grassroots programs, and social responsibility. Singson’s nearly two-decade career with the league has included stints in the league’s headquarters in New York City and in the Hong Kong regional office. The NBA has established its existing business initiatives in the Philippines more than two decades ago. Most recently it staged NBA Global Games in Manila in 2013 featuring the Houston Rockets and the Indiana Pacers, and joined with local operators to open the first three NBA Stores in Southeast Asia, and the first NBA Cafe outside of the U.S. The NBA currently has relationships with a strong network of television and digital media partners in the Philippines, including a partnership of more than 15 years with Solar. Solar, together with ABS-CBN and FOX Sports, combine to televise more than 30 live NBA games per week. The league hosts touring basketball events and grassroots basketball development programs for fans, such as the Jr. NBA/Jr. WNBA and the Gatorade NBA Training Center, and maintains a strong roster of marketing partners, including adidas, Alaska, CloudFone, Gatorade, Globe Telecom and Spalding. The league also has a strong social media following in the Philippines, with 5.1 million followers on the NBA Global Facebook page ­– the most of any country outside the United States. Through NBA Cares, the league’s global social responsibility initiative, the NBA has teamed up with community partners and nonprofit organizations including World Vision and Special Olympics to implement more than 40 community outreach programs nationwide since 2009. As part of the efforts to inspire play and teach the values of the game to youth, NBA and WNBA players and legends conducted basketball clinics, visited orphanages and participated in court refurbishment projects. With the opening of the Manila office, the NBA now has offices in 13 markets worldwide, including Beijing, Hong Kong, Johannesburg, London, Madrid, Mexico City, Mumbai, New York/New Jersey, Rio de Janeiro, Shanghai, Taipei, and Toronto. Visit www.nba.com and follow the NBA on Facebook (www.facebook.com/philsnba) and Twitter (www.twitter.com/NBA_Philippines) for all the latest NBA news and updates. The NBA is a global sports and media business built around three professional sports leagues: the National Basketball Association, the Women’s National Basketball Association, and the NBA Development League. The league has established a major international presence with games and programming in 215 countries and territories in 49 languages, and NBA merchandise for sale in more than 125,000 stores in 100 countries on 6 continents. NBA rosters at the start of the 2015-16 season featured 100 international players from 37 countries and territories. NBA Digital’s assets include NBA.com and the NBA app, which achieved record traffic during the 2014-15 season, as well as NBA TV. The NBA has created one of the largest social media communities in the world, with more than one billion likes and followers globally across all league, team, and player platforms. Through NBA Cares, the league addresses important social issues by working with internationally recognized youth-serving organizations that support education, youth and family development, and health-related causes.